As dignitaries and delegates descend on Jamaica this week for the UN World Tourism Organisation Global Conference on Sustainable Tourism, they will encounter a team of local ambassadors encouraging them to see more of Montego Bay than just the conference centre, thanks to a TUI Care Foundation initiative delivered by the Travel Foundation, with support from local partners. Montego Bay frontline hotel staff, taxi drivers and district constables are receiving “Warm Welcome” training so they can confidently provide local ‘top tips’ and inspiration to encourage visitors to explore the area. The “Warm Welcome” launches to coincide with the conference, but will become a permanent campaign for all future visitors to Montego Bay and there are plans to extend it to other resorts on the island. Residents and business owners were interviewed to find out what really makes Montego Bay so special, and this insight was then captured within the “Warm Welcome” resources. The campaign was also informed by market research so that barriers preventing tourists from stepping outside their hotels could be identified and addressed. For instance, the main reason given for staying put was that “the hotel has all that I need”, suggesting more can be done to communicate what’s on offer outside the hotel. 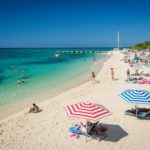 “It’s really important that Montego Bay residents are given the best opportunity to benefit from the tourism on their doorstep, and one way to do that is to encourage spend in the local economy. The Warm Welcome campaign is part of our wider programme of work in Jamaica delivered on behalf of TUI Care Foundation, and working in cooperation with the Tourism Product Development Company. For instance we are also looking at ways to increase the positive impacts of tourism through excursions and attractions such as the Harbour Street Craft Market”. The Warm Welcome Campaign is being supported by the Tourism Product Development Company (TPDCo). TPDCo plans to replicate the Warm Welcome campaign in other resorts across Jamaica and will sign a Memorandum of Understanding with the Travel Foundation at this week’s Global Conference.